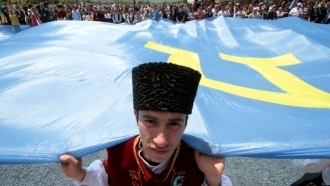 The Crimean Tatar delegation took part in the celebrations dedicated to the Battle of Konotop. Today, a delegation of Crimean Tatar and Ukrainian scientists as well as members of the Mejlis from Kyiv arrived to Konotop to participate in the celebrations dedicated to the battle of Konotop, during which Ukrainians fought shoulder to shoulder with the Crimean Tatars against the Moscow aggressors in 1659. The delegation included the Chairman of the Mejlis of the Crimean Tatar people Refat Chubarov; Member of the Mejlis of the Crimean Tatar people, Director of the agency "Crimean News" Gayana Yuksel; Member of the Mejlis of the Crimean Tatar people, Director of the Charitable Organization "Crimea" Foundation Riza Shevkiev: Coordinator of the Taurian humanitarian platform, historian Andrei Ivanets; Chairman of the NGO "Ukrainian Initiative", scientist and translator Yuri Kosenko. 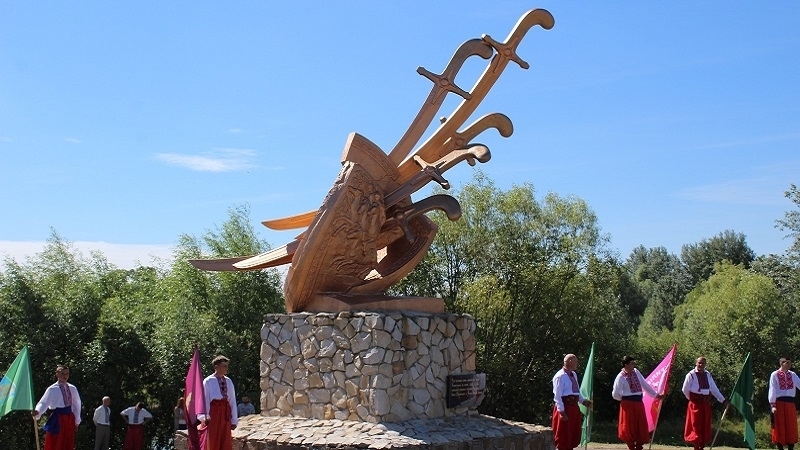 This year, Ukraine marks the 358th anniversary of the glorious joint victory in the Battle of Konotop against the Russian army in 1659, when a coalition of Polish detachments, units of the Ukrainian Cossacks and Crimean Tatars, led by Hetman Ivan Vygovsky and Crimean Khan Mohammed Giray IV, who together formed the basis of the strike force, managed to repulse the Russian invasion of the territory of modern Ukraine during the Russo-Polish war. Battle of Konotop went down in history as one of the most fierce battles of the 17th century. The battle is still a subject of controversy between Ukrainian and Russian historians. The latter are embarrassed by the fact that the combined forces of the Ukrainian Cossacks and the Crimean Tatar army literally routed the many thousands Russian army of commander Aleksei Trubetskoy. Moreover, the issue of the Konotop battle and the participation of the Crimean Tatars in it was repeatedly neglected in Ukrainian historiography itself.